Gobble, gobble. This June, yes June, celebrate Turkey Lovers Month with one of the most popularly consumed meats in America. It’s more than just a holiday dish! Cooking options range from seared, roasted, and braised — to smoked, grilled, and baked. Thus, turkey offers a wide variety of choices for how to prepare your favorite dish. Enjoy the start of summer with a delectable turkey dish fit for any occasion. It’s easy to cook, rich in protein, and just delicious to eat. Spanish traders first brought turkeys to Europe. ​Turkey is a coat of arms. ​The English navigator William Strickland, who had introduced the turkey to England, was granted a turkey-themed coat of arms. It's thought to be the first depiction of the bird in Europe. ​Native Americans first used turkeys for meat. Turkeys were tamed in Mexico. 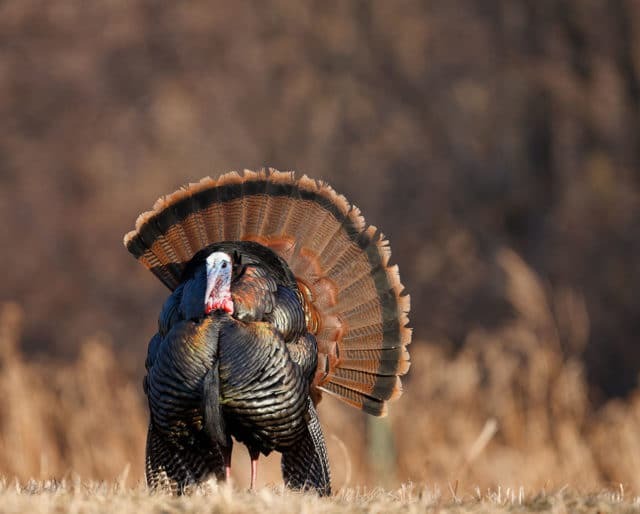 ​Humans used wild turkey for their meat. Invite guests to bring their favorite turkey dish. Whether it’s chili, sausage, or just a clean cut to throw on the grill, you can expect to find a delicious turkey dish to kick off summer. With countless methods available to cook turkey, explore new possibilities. Experiment with seasoning, sauces, and preparations. Turkey can be stored in the freezer (unopened and uninterrupted) for up to three years and still be safe to cook. For the best quality, it’s recommended that you use the frozen turkey within seven months of storage. ​Ben Franklin, in a letter to his daughter, proposed the turkey as the official United States bird. ​The heaviest turkey ever raised was 86 pounds, about the size of a large dog. ​ Wild turkeys can fly for short distances up to 55 miles per hour. ​The numbers: 45 million turkeys consumed each Thanksgiving; 22 million each Christmas; and 19 million each Easter. Turkey meat’s texture absorbs flavors well in cooking, which allows for a plethora of options — including roasted, brined, smoked, and grilled. Turkey is lower in cholesterol than most other meats, especially red meats, and has a much better proportion of unsaturated fats to saturated fats than chicken. Per portion, turkey meat contains more protein per gram than beef, pork, and chicken. Turkey is high in tryptophan, an amino acid that helps regulate sleep, and control your sleep-wake cycle. Tryptophan helps to improve sleep quality, reduce awakenings, and increase REM sleep.